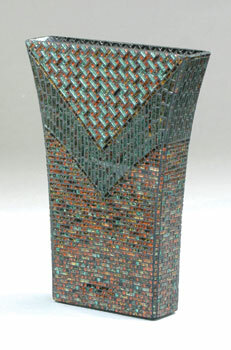 Mosaic vase and vanity projects created by artist and Delphi guest instructor Tom Snyder. 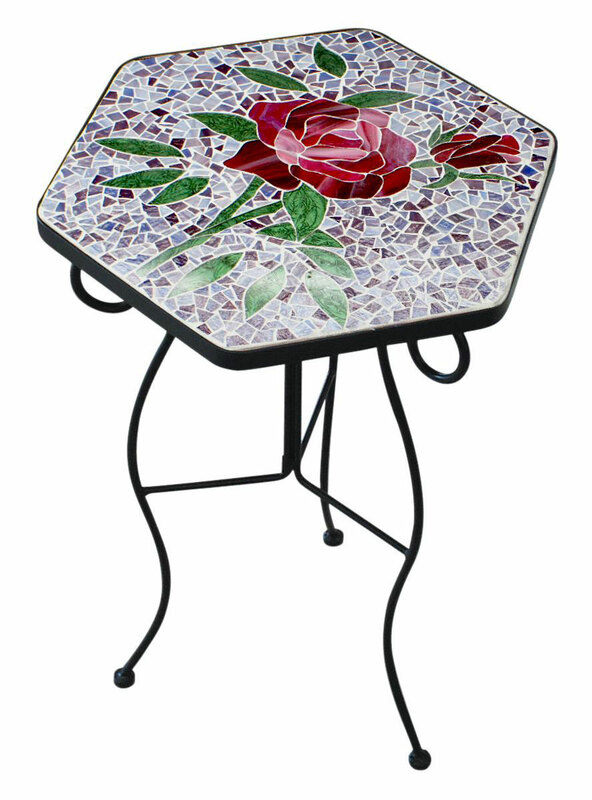 Mosaic rose table by artist Keturah Esch. 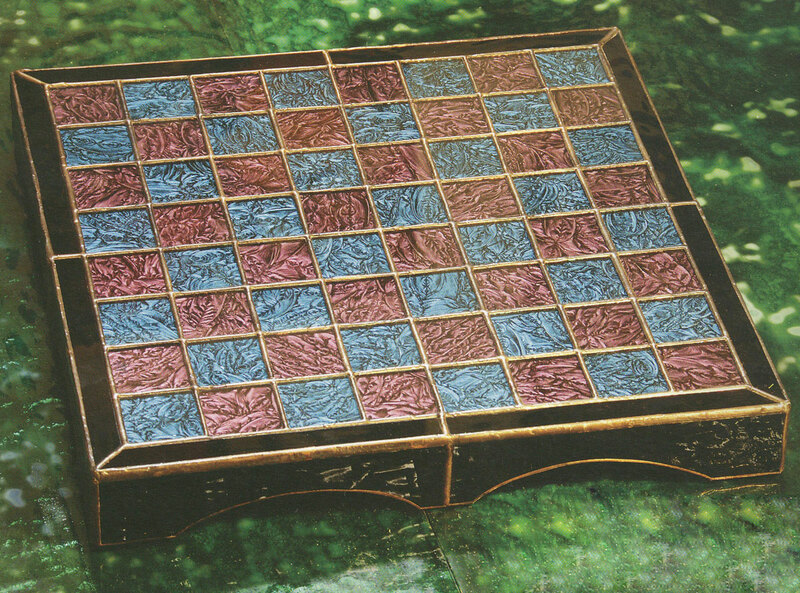 Stained glass checker board created by artist Michael Johnson. From "40 Great Stained Glass Projects" book #6324. Pros : Cuts very easily. 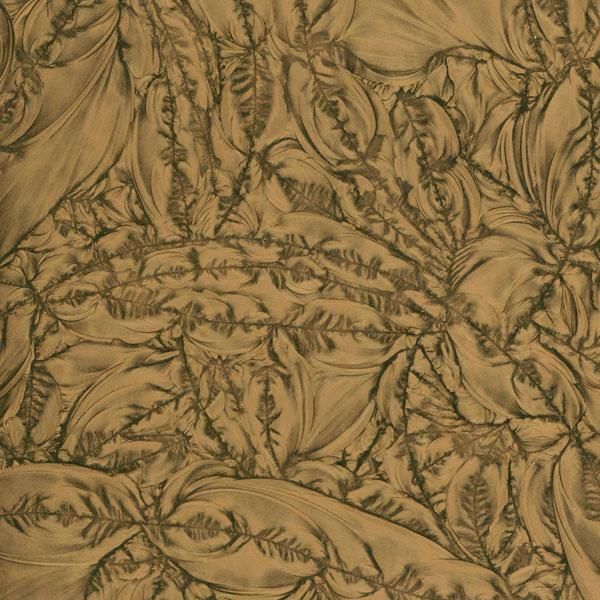 True metallic bronze color glass with a wonderful appearance of depth and texture yet a completely smooth front surface. The back is painted and is surprisingly textured almost like glue chip. 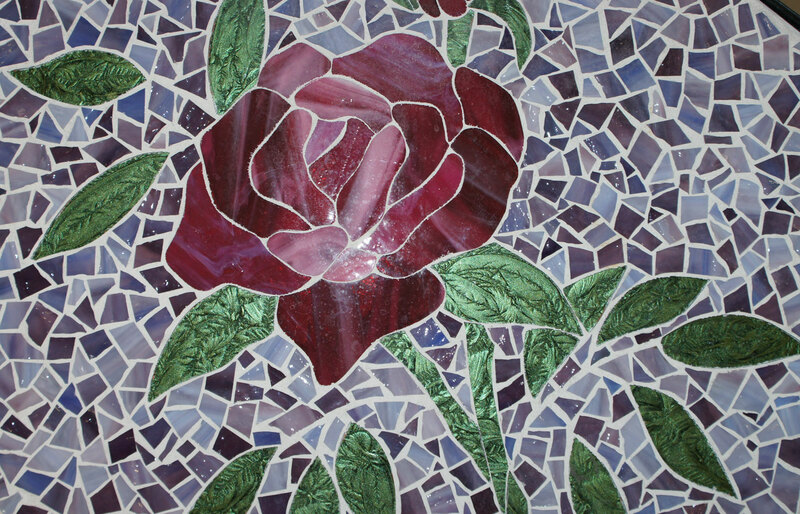 Beautiful in a mosaic. 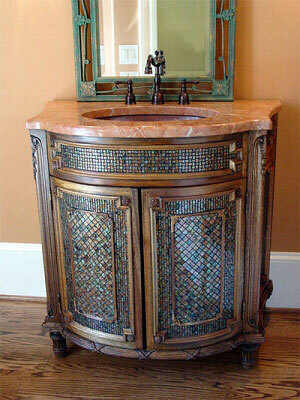 Cons : Color and texture can vary between sheets of glass. 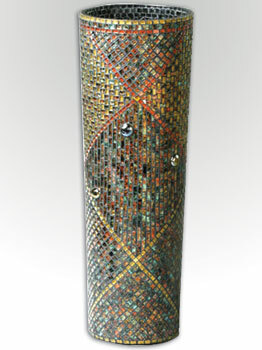 Since the color/texture is only painted onto the back of the glass, it can flake off when grinding. Other Thoughts : Use a fine grinding bit. Chips can be touched up easily with a black Sharpie or nail polish. All the colors of Van Gogh glass have black on the back. Art Glass Fairytale Winner Receives Fusing Grab Bag!